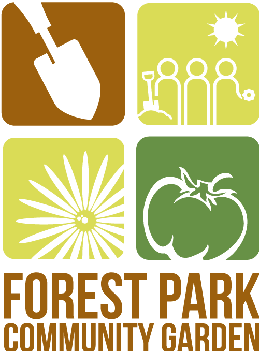 Shop of Clover's Garden Center April 24-26 and Support Forest ParkCommunity Garden! Clover's Garden Center has accepted our application to particpate in their fundraising program. The Clover's Nursery located in Berwyn ( 7065 W. Cermak Road ) will be donating 10% of pre-tax sales for the weekend of April 24 - 26. All that's requires is for customers to present our fundraising flyer (see below) at the time of purchase. At the end of the weekend, Clover's will add up all the purchases made with the flyers and will give us 10% of that! So, if you know you'll be hiting the garden center for your springtime garden needs, why not go to Clovers in Berwyn April 24 - 26, present the flyer, and help support the community garden? Download and print the flyer below. Feel free to make copies and give them to your friends or display them at your workplace / business. The key to success will be to get as many people as possible to shop at Clover's that weekend.